In addition to the items I mentioned in my previous Beta 2 - RTM breaking change list, I found a link on the VS 2008 samples page that a whitepaper has been issued on this. In addition, there is a whitepaper specific to breaking changes between VB 2005 and VB 2008 available here. Among the new cool features in Visual Studio 2008, one of the best may be the XML Literal support with VB 9 and LINQ. In my last post, I mentioned some changing features from the Beta to RTM. One that could easily be overlooked is a change to the way LINQ to SQL can now directly project into XML literals. 'Create a root Site node with 10 child "item" nodes. In this code, I'm performing two queries. The first one sets up the LINQ to SQL query and pre-fetches the results into an Array. In the beta builds, if we didn't include the pre-fetching ToArray, the second query which projects the results of the first into individual <item> nodes. What is the difference between these queries? The first query uses LINQ to SQL and projects results directly from the database. Because we pre-fetch the results into an array of objects, the resulting query only uses LINQ to Objects rather than the direct LINQ to SQL implementation. With the final RTM of Visual Studio, we no longer need to pre-fetch the results from the query. Instead, we can directly project our desired XML from the select statement without needing the intermediary step. Here is the revised code. Notice, we can now perform the same result with a single LINQ query rather than two. The result is more concise. You may find you want to continue separating your query definition from your XML creation in order to improve maintainability. If this is the case, simply keep the first code sample and remove the call to .ToArray. Because LINQ to SQL is composable, you can separate the queries into two code sets. When the query is evaluated, the two expressions will be combined into a single query to the database and the projection will continue to work. Enjoy working with VB 9 and XML. In my opinion it is one of the killer features of Visual Studio 2008. If you give it a try, I think you might find the same. I've just updated the ThinqLinq proof of concept site for the Visual Studio 2008 release that came out today. If you're following the sample application, or are looking for a sample VB 9 implementation of LINQ in a web site, check out the download at http://devauthority.com/files/13/jwooley/entry101097.aspx. In case you are interested, here are the changes that were necessary to move from Beta 2 to the RTM. (The first two items are repeats from my post earlier today). Open the DBML file as XML and change the UTF encoding from 16 to 8. Otherwise the compiler will complain about the DBML file's format. Replace the Add methods with InsertOnSubmit. Likewise, change Remove to DeleteOnSubmit. You may be able to do a global search and replace on this, but be careful not to make changes to any IList object implementations, only LINQ to SQL ones. SyndicationFeed.Load removed the option to pass in a URI. Instead, I used SyndicationFeed.Load(New System.Xml.XmlTextReader(UrlString)). The SyndicationFeed's Item PublishDate property is changed to the new DateTimeOffset type rather than the simpler DateTime. As a result, get the date from the PublishDate.Date property. When projecting XML elements as part of a LINQ to SQL query, you no longer need to pre-fetch the results into an array. I'll make a separate post on this item. That's all I've found so far. 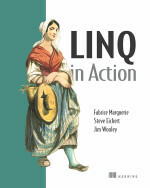 I've already updated both the ThinqLinq site and the samples for the upcoming LINQ in Action book. I'm sure I've missed something, but so far, the upgrade is relatively easy this time around. The IDE does appear to be running faster as well. It's offical, Soma annouced on his blog that the 3.5 .Net Framework along with Visual Studio 2008 have shipped. I have been excited by the things coming with this release since PDC 2005 and am glad to finally work the the official bits. I am aware of a couple breaking changes between the Beta 2 and RTM, and will try to keep you updated as I find more items. There are a couple other minor updates that may catch you off-guard. I'll update you once I've had a chance to play with the final bits. Jim's Samples and Presentations: My downloads and sample applications from my presentations. Subscribe here to get updates whenever I add new samples. I have a bunch of things I want to discuss from my DevConnections trip, so stay tuned. If you downloaded the VPC image version of Visual Studio 2008 beta 2, make sure to back-up your data and move anything off of the Team Foundation Server before November 1, 2007. I was just informed that the images will be time bombing on November 1 2007 rather than the originally intended March 15, 2008 date. If you don't download it now, you may not be able to retrieve your projects. More information is available at the VS 2008 beta 2 download site. If you installed the stand-alone version, you should be ok. The xml document consists some basic informational elements which are not terribly important in this instance as we are only pulling from a single blog. Following the initial elements, the document contains a series of "item" elements that contain the actual post information. We can easily query the document and return an IEnumerable(Of XElement) object that we can iterate over and create new post items. Below is an excerpt from my original implementation. Ok, so that is easy enough. There are a couple of things to mention before we continue on. The .Add method will be changed to .InsertOnSubmit when LINQ and the .NET 3.5 Framework is released. This will be a breaking change for anyone who is currently working with the beta builds. Another item of note: this implementation does not bother importing the various sub-collections, including attachments, comments, categories, etc. We will address some of those in a future update. In looking back at the code and being more familiar with LINQ, it is about time to update this code taking advantage of some of LINQ's more interesting features. First VB 9 allows us to eliminate some of the functional construction syntax. Instead of weakly accessing the post.Element("description").Value, we can refer to post.<description>.Value. If we import the namespace, we will even get intellisense on the xml document. That's it. We've read the feed from the site, filled the object collection and saved the resulting objects to the database. Clean and simple. But hold on... The title of this post refers to the System.ServiceModel.Syndication.SundicationFeed object. This is a new object as part of the WCF enhancements in the .NET 3.5 Framework. To use it, add a reference to the System.ServiceModel.Web library. This object lets you create and consume feeds in both RSS and ATOM formats and use a single object model against both options. It also gives easy access to a number of child object structures, including Authors, Categories, Contributors, and Links. Additionally it strongly types the results so that we don't need to explicitly cast the values ourselves (for example with the PublicationDate). Here is the complete code to load the feed using the SyndicationFeed.Load method, fill the PostItem collection and submit them to the database. The code is substantially the same as the revised version using the XML Literals above. The advantage of using the Syndication services implementation is that it abstracts the feed structure (RSS/ATOM), giving direct and strongly typed access to the contents. Now that we've set this up, maybe I can work on using the SyndicationFeed to generate the feeds in ThinqLinq and present that in a future post. Stay tuned. In my VB 9 language enhancements talks, I do them withalmost all coding on the fly as I find people often can comprehend the code. I start by building a quick class that is used throughout the demos. To assist, I do use the snippet functionality in VB. For example, if you type "property" and then tab twice, the designer will generate a private field with public property accessors. The if you change the highlighted values, any associated names will be changed as well. Personally, if you are not doing anything within your properties, there isn't much that you buy in using properties as compared to just exposing the field publically. I want a bit more functionality built into my properties. In the very least, I want to be able to include some change tracking. Once nice feature of the snippets is the fact that they are quite easy to modify and create your own. To begin, we need to find where the supplied snippets are located on your disk. We can find this by clicking "Tools" and then the "Code Snippets Manager". We can find the location by drilling into the "Code Patterns" then "Properties, Procedures, Events" and find the "Define a Property" snippet. The location window will show you where this one is located. In the default install, it will be in your c:\Program Files\Microsoft Visual Studio 9.0\Vb\Snippets\1033\common code patterns\properties and procedures\ folder. Navigate to this folder and copy the DefineAProperty.snippet. Paste it as a new file and name it whatever you want keeping the .snippet extension. The key is to change the info in the Snippet node. In my case, I like to use a convention where the private field is the same name as the public property with the exception that it is prepended by the underscore. Thus, my field may be called _Foo and the property is called Foo. Due to this, I can eliminate the PrivateVariable node and just keep the PropertyName and PropertyType nodes. Now our property has a detection as values change and we can then do something with it. In this case, we will call an OnPropertyChanged(propertyName as string) method, assuming we have defined one in our class. If we don't have one defined, we won't be able to compile our application. We have several options to provide the OnPropertyChanged method. The class could inherit from a base class implementtation. The additional complexity level may not necessary in many cases. Additionally, we could implement a concrete method in our class. This will mean a slight performance hit if we don't actually do anything in the method. If we don't need the implementation, the OnPropertyChanged method call in the property setters will be compiled away, otherwise we already have the stubs in place with our snippet in order to handle the functionality as necessary. If you are interested in trying out this snippet, I'm attaching it to this post. Simply unzip it to your snippets directory and try it out. I've uploaded the files for my presentations for the fall Code camp season which I just presented last weekend at the Birmingham, Alabama code camp. If you missed the talks, you can pick up the downloads at the following links. Also, I will be at the Charleston, South Carolina code camp this coming weekend (10/13) so you can catch me there. Additionally, the ThinqLinq talk is still available on the aspnetpodcasts.com. Links to all three parts of thie webcasts are available at http://www.devauthority.com/blogs/jwooley/archive/2007/07/27/66845.aspx. Below are the links to each of the downloads for my three talks. These and all of my demos are available via my downloads page at http://www.devauthority.com/files/13/jwooley/default.aspx?ppage=1. Don't let the license notice keep you from downloading the samples. It is just a boilerplate message that I'm not able to change at this point. Updated: 11/9/2007 to fix the invalid hyperlinks due to cross posting. When submitting data to the database, you need to watch out for concurrency issues (times when different users make simultaneous changes to the same record). To do this, in a disconnected environment, we either need to combine a ID and a TimeStamp column or pass all of the original values to the database as well as the changed values. When we issue the update statement, we include a check for the original values in the Where clause along with the new values in the Set clause. Below is a sample stored proc which updates an Author table with concurrency checking. In this case, if another user made a conflicting change, the return value will be 0 because no records match the original values any more. In this method, we can call our stored procedure. If we were leveraging the TimeStamp, we would have been fine. We are not using a timestamp on this table. Our stored procedure requires us to know about the original values. Due to the change between beta1 and beta2, we no longer have a handle on the original author instance that we need for concurrency check. Authors.GetOriginalEntityState(instance) gives us our missing information and we can now perform our concurrency handling again. For anyone who has attended my presentations on ThinqLinq I have updated the sample solution for Visual Studio 2008 Beta 2. Feel free to download it and try it out. If you have not had the opportunity to attend the sessions live, you can see it in action on the AspNet Podcasts, This is a proof of concept web site that uses VB 9 to manage a blogging web site that uses LINQ for the data access. We leverage LINQ to Objects, LINQ to SQL, LINQ to XML, Updating data, Heterogeneous joins, and other related technologies. Let me know if you have any recommendations for updates and enhancements to this sample. I was scrolling through some sites and on a whim decided to check to see if LINQ in Action was listed on Amazon yet. Not only is it listed but I found that they have a new feature where they syndicate RSS feeds from a book' site (www.LinqInAction.net) on theirs. Check it out. I just wish there was a way of finding out how many hits those posts get so I could combine the count with my own site to get a better feeling just how many fans I have out there. Prior to Beta 2, this would mean either separate OR clauses for each item, or worse yet a heterogeneous join between the database and an in memory array. Why do I say, worse yet? Because the heterogeneous join option meant bringing all of the records from the database and filtering on the client. Beta 2 introduced a new "Contains" extension method which converts to the TSQL "IN" clause. Below is an example that I put together for one of my first production apps that is already live. Next, we need to set-up a lambda expression that will serve as a filtered table set in my join clause. Here I am identifying an IQuerable<Company> which consists of the company table filtered by the declared function. In case this syntax is new to you, the "Function" clause is VB's implementation of a Lambda expression. I'll post more on this soon. Basically, the function states that, given a company that we will call "c", return true if the channels collection contains the channel for this company. Notice also, the VB team has added a number of query expressions that are not available in C#. This query uses the Distinct expression at the end of the select clause which is likewise translated directly as part of the TSQL select statement. You no longer have to call the .Distinct method on the query to get the desired results, it is now a native query expression.